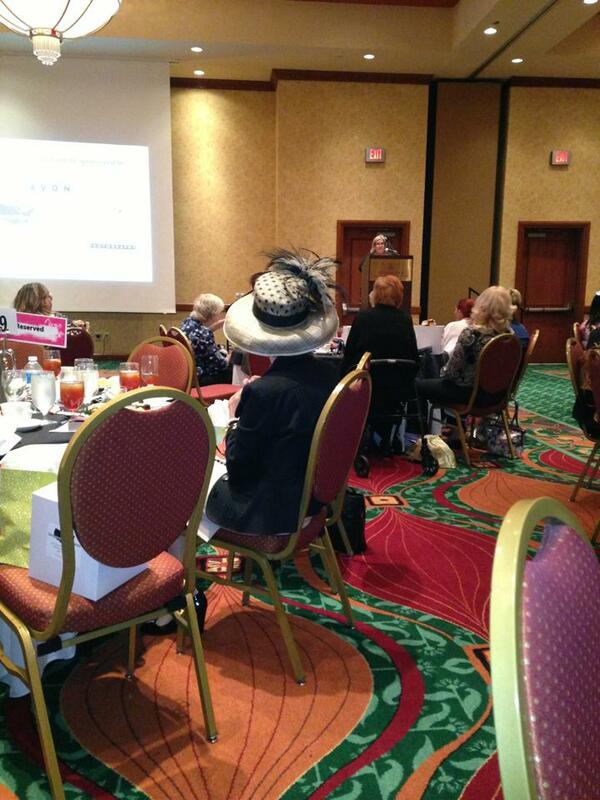 This was the 8th annual Buns & Roses Tea. For eight years the Richardson Adult Literacy Center puts on a tea to raise money for adult literacy in North Texas. Last year, they had 600 people in the program! Many of them are women. 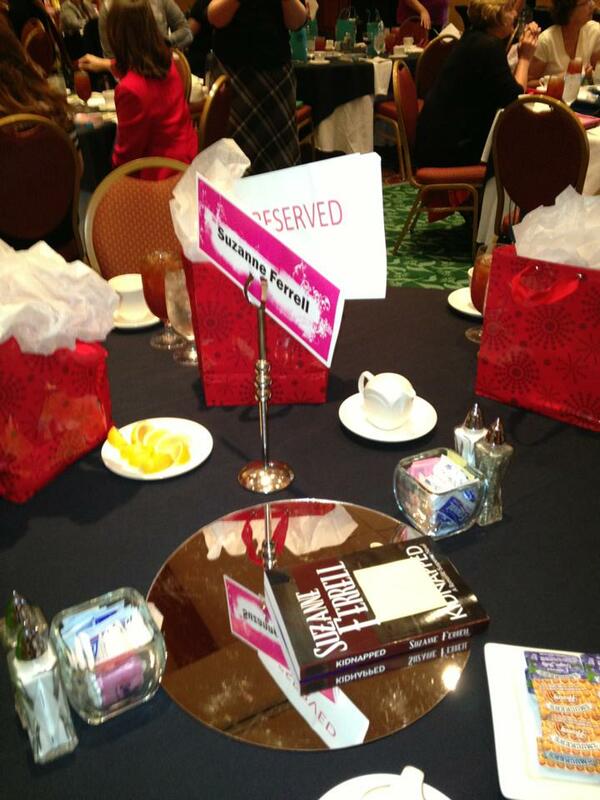 I have attended every year and for the past two years sponsored a table. For all but one year, both my daughters have attended, too. We have such fun! 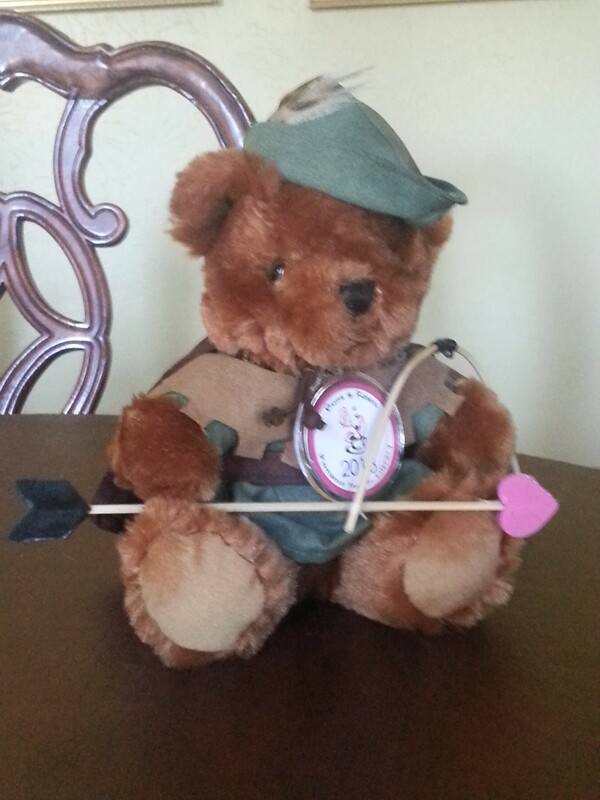 An afternoon meeting and talking with authors, talking about books, reading and romance, buying mystery boxes with dressed-up teddy bears, (this year’s was Robin Hood!) and getting to buy new books, which the authors happily sign. This year my wonderful friend and fan, Melissa got to join us! The pictures below are from Melissa! 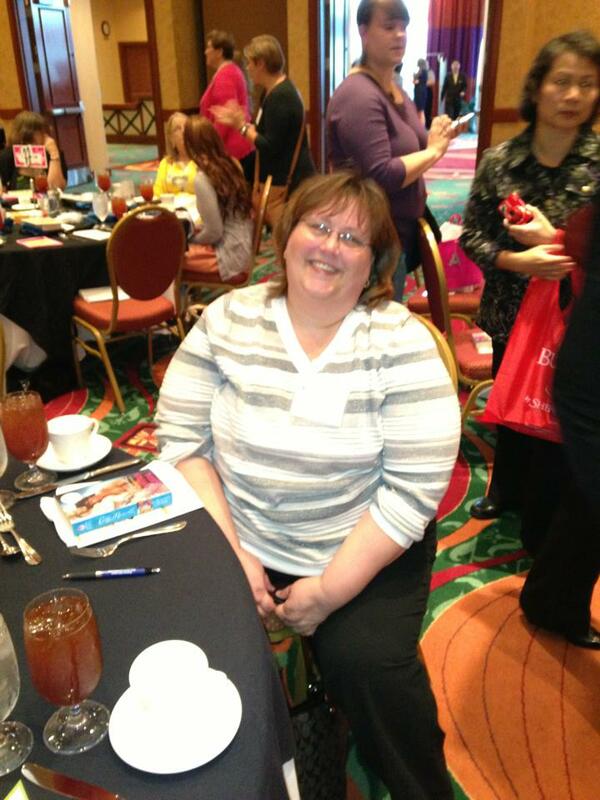 That’s me, so happy to be at the tea and visiting with my friend! Look! They put my name on the table! 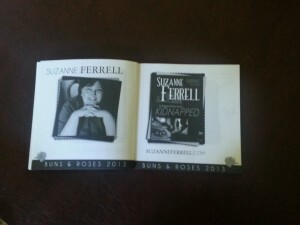 KIDNAPPED was one of the door prizes and we had it for the book signing at the end of the evening! That’s author Candace Havens up at the podium. She has served as our lovely and hysterically funny emcee every year of the tea. See the lady in the wonderfully big hat? That’s author Elizabeth Essex. The hat was even more fabulous from the front! Lots of people had hats this year. I wish I looked good in one. I’d love to wear one to the tea! Every year at the tea, they have a “white box” It’s a cube box and inside is a little bear dressed in a costume. This year it was Robin Hood. Here’s my little guy! He’ll join the others on my shelf. 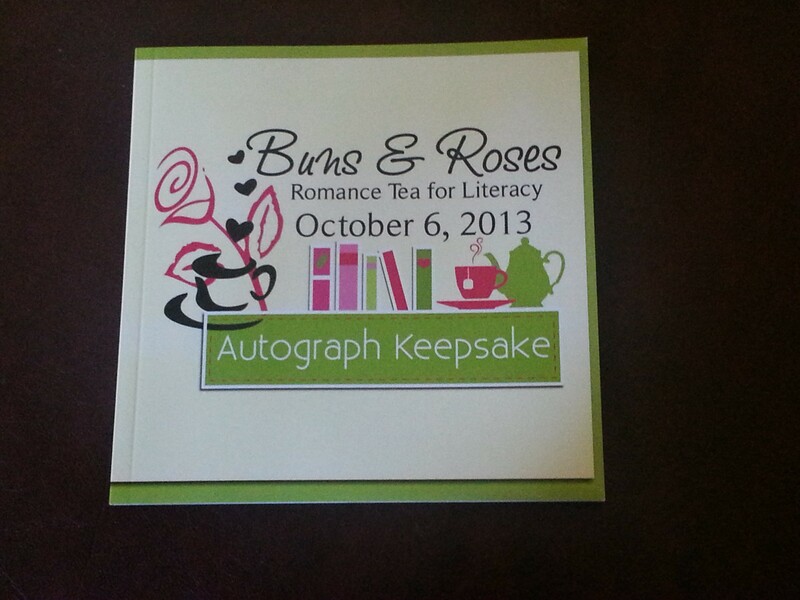 And this year we had autograph books for the guests to get signed and keep as memorabilia. 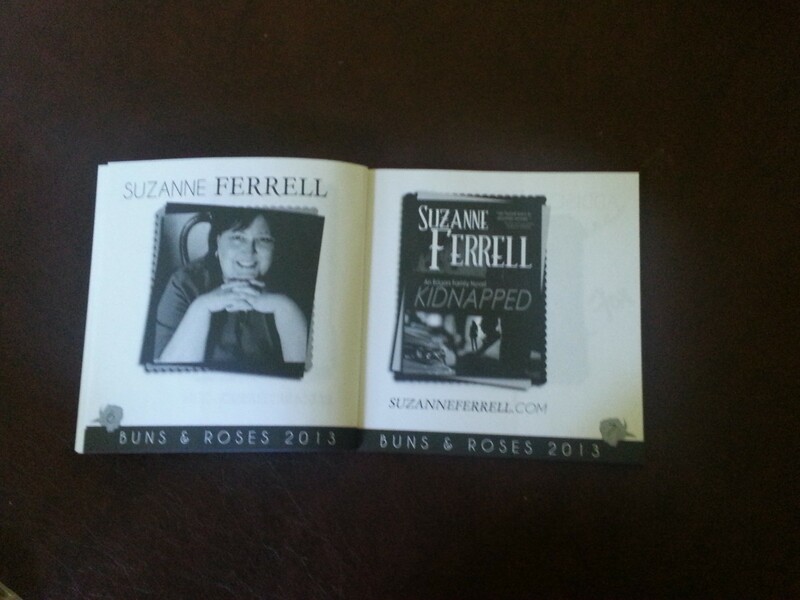 Here it is and my page on the inside!